The original attempt by Comcast to buy Time Warner didn’t gain acceptance for a variety of reasons, but another attempt at a merger between cable giants — this time by Charter Communications — recently earned approval from federal regulators. This new combined Charter Time Warner company brings with it the potential to shake up both the ISP and Cable industries. The whopping $65.5 billion deal also includes Bright House networks. So, if you are a customer of any of those three companies, you are probably concerned about how this affects your Internet and/or Digital TV service. Let’s dive into the details and see if faster Internet speed is in your future. The FCC placed special conditions upon approval of the Charter Time Warner merger aimed at maintaining competition in the growing online video business, as well as encouraging the continued spread of broadband networks into underserved areas of the country. Commission chief, Tom Wheeler, commented on the reasoning behind these conditions. “The cumulative impact of these conditions will be to provide additional protection for new forms of video programming services offered over the Internet,” said Wheeler. An independent body will be charged with monitoring compliance of the added rules, which go beyond the typical FCC regulations for broadband services. The conditions are in place for seven years after the closing of the merger. Charter isn’t allowed to leverage their large customer base — nearly 20 million users — to tempt content producers from leaving shows off of other video streaming services, like Netflix. The company also promised to forego data caps for at least seven years, and not charge content providers extra for streaming content to Charter’s customers. With Time Warner in the middle of rolling out their TWC Maxx program, where Internet speeds are increased by a factor of four at no extra charge, current customers probably wonder if Charter will maintain those new, faster service levels. Since Charter’s lowest Internet service tier sports a speed of 60 Mbps, customers aren’t expected to see any difference if they’ve been updated to TWC Maxx. You may need to upgrade your modem to support those faster speeds, so contact your current provider to schedule a visit from an installer, if necessary. Time Warner is also encouraging customers to perform the upgrade even if Maxx isn’t yet available in your area. Performing an Internet speed test is about to become more rewarding! 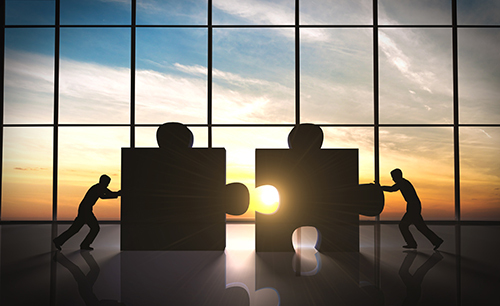 California users need to note that the merger’s effect in your state is based on earning approval from the state’s own public utilities commission, which is expected soon. No matter your location, the results of the Charter Time Warner merger are slated to take effect later this year.